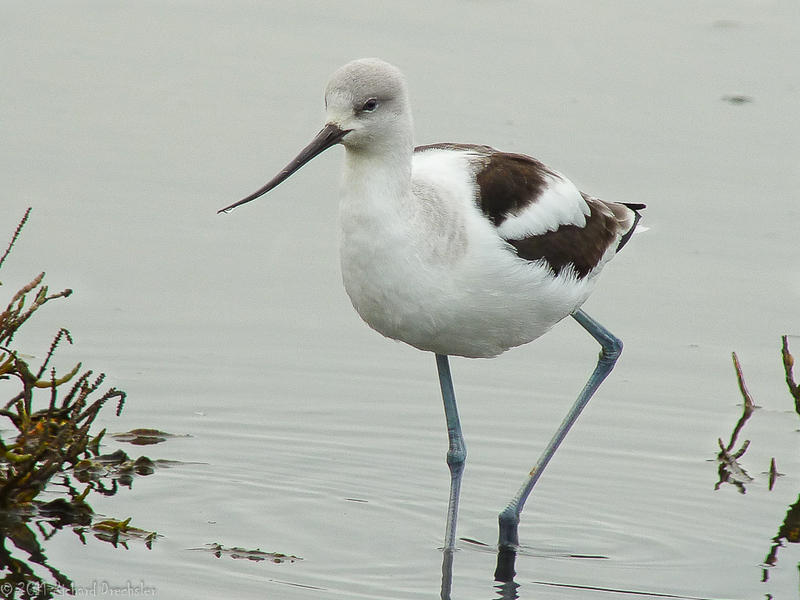 Basic plumage of the American Avocet. Note the blue-gray legs. Appears to be a male with the gently curved bill.